The easiest way to reach us is by calling (813) 925-FACE (3223). 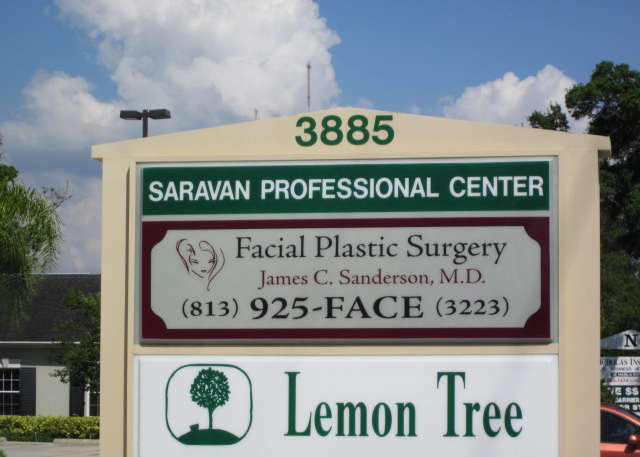 Dr. Sanderson’s patients come from all over the Tampa Bay area, the United States and Abroad. We are conveniently located for people living in Hillsborough, Pinellas, Pasco, Polk, Manatee, Hernando, Citrus and Sarasota counties. If you would like to contact us via email, simply complete the form below, enter the code and select the submit button.